I interviewed Susan Cain, the New York Times bestselling author and the world’s foremost expert on introverts. As Chief Revolutionary of Quiet Revolution, Cain is on a mission to share the secret strengths of introverts – and her message is both powerful and eye-opening. 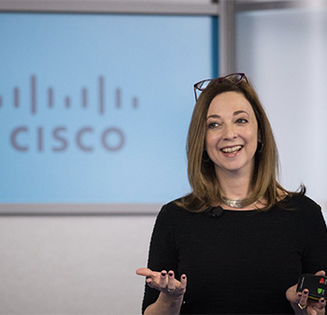 Fast Company has named Cain one of the Most Creative People in Business and Inc has called her one of the world’s top 50 Leadership and Management Experts. In our interview, we discuss several topics, including the most misunderstood thing about introverts, how introverts like Rosa Parks can help spearhead change, what extroverts can learn from introverts, the secret strengths of introverts, how introverts can enjoy public speaking, her best career advice, how introverts can thrive at work and much more about how we lead and listen. Zack Friedman: One common perception is that an introvert is the quiet child in a classroom, the person who prefers to skip a networking event or the guest at a cocktail party who rarely speaks. How off base is that perception? Susan Cain: These are behaviors, and then there is the emotional profile that goes along with these behaviors. This is where the misperception comes in. People will look at a child who is not participating or somebody at work who is not speaking up at meetings, and often conclude that that person in disengaged in one way or another. They are not enjoying themselves, or they don’t like people around them or their job. That’s where you can have a big misconception. Introverts and extroverts have different nervous systems. Introverts are wired to prefer environments that are quieter and have fewer inputs coming in at once. Extroverts are the opposite—they’re wired to feel best when there’s a lot going on. So, back to the quiet child in a noisy classroom or the reserved person at the meeting – what’s really happening is that that person’s nervous system is communicating to them that there’s too much going on here and that the way to achieve equilibrium is to quiet things down. It has nothing to do with disengagement or dislike. Friedman: What is the most misunderstood thing about introverts? Two, there’s a misperception that introverts don’t make good leaders. You can see where this comes from, because leadership has to do with interacting with people. But there are many ways of interacting quietly. There have been a number of studies that show that introverted leaders perform as well as, and in some cases better than, extroverted leaders. Friedman: In your revolutionary book Quiet, you introduce us to introverts like Rosa Parks, Steve Wozniak and Dr. Seuss. These individuals have created enormous impact not only in what they did, but also in how they did it. How did being an introvert help shape them to spearhead change? Cain: Ghandi talks in his autobiography about always having been uncomfortable about assembling a crowd or holding court in a meeting. If you are that kind of person and you’re in the fray anyway making change, people can feel that you are there not because you enjoy controlling events, but out of commitment. This attracts people who are authentically committed to whatever it is that you are doing. That can be really powerful. You saw that with Rosa Parks, which was one of the reasons that she had the impact she did. People could feel about her that she wasn’t interested in grandstanding for its own sake. Friedman: In Quiet, you discuss the rise of the Extrovert Ideal. We hear about introverts being told they should become extroverts. What can an extrovert learn from an introvert? Cain: Many things! Take decision-making. Introverts tend to be much more deliberative, whereas extroverts tend to be “go for it” types. There are moments where one approach is called for, and moments where the other is called for. There are moments when “seizing the day” is not the right approach. Bill Gates describes himself as an introvert, and he says that one of his great strengths is that when he has a problem to solve, he will go off for a few days and read and think, then emerge with a deeper understanding of what to do. Friedman: You’ve written that you “prefer listening to talking, reading to socializing, and cozy chats to group settings.” In your book, Quiet Power, you discuss the secret strengths of introverts. What are those secret strengths? Cain: One of them is leadership. Another is the ability to deeply connect with people. Listening is a great skill that introverts have acquired by the time they reach adulthood. Often, they’ve acquired it because they really don’t like attention on themselves. So they learn to listen to others. Over time, this becomes a well-honed skill that is wonderful for social bonding, fact-finding and negotiation. A third one is the ability to sit still in a room by oneself. This is enormously under-rated in our society. Introverts find it easier to achieve because we don’t suffer when the stimuli are removed. Many extroverts don’t want to be in a room by themselves. It’s the same thing for creativity. It’s very hard to do creative work without spending quite a bit of time alone. This is easier for introverts. There have been studies showing that the most creative people across many fields are introverts, and that’s not a coincidence. Friedman: Are there times when an introvert should act like an extrovert, or vice versa, and why? Cain: Life is way too complicated to have only one way of being at one’s disposal. We’ve all been there: for introverts, say, there’s the moment at the networking event when you’d rather go home, but you put your game face on anyway. For extroverts, you really want to go out with your friends, but you stay put to write the memo for tomorrow’s meeting. It’s important for everyone to try to be as flexible as possible. The key is that it’s fine and good to step out of your comfort zone, but you need to do it strategically. After you’re done, you need to come back and be you. You need to schedule in your calendar your recharge time, and honor that just as fiercely as you do your other commitments. Friedman: So, it’s not that an extrovert should become an introvert or that an introvert should become an extrovert. It’s really that you should be comfortable with who you are. There will be times when you need to step into the other position, but it’s a temporary state depending on the circumstance. But you always return to your authentic self. Cain: Exactly. You said it beautifully. Friedman: You were terrified of public speaking, and now you have delivered hundreds of speeches, including your outstanding TED Talk. How did you conquer that fear, and can an introvert enjoy public speaking? In my case, I practiced public speaking for a year up to the release of my book and my TED Talk. The key is that you want to practice in very small, supportive settings. It doesn’t matter how much you screw up when you have a supportive environment and the stakes are low. Friedman: How can introverts thrive at work? Cain: When you are looking for a job, you should evaluate how you fit into the culture in general, but also from the point of view of your personality style. It’s also very important to make sure that your work is being noticed and appreciated. I hear from a lot of corporate leaders that they lose good people who are not good at self-promotion. Their work is not recognized relative to their contributions, so they become disengaged and leave for another employer where they hope their work will be recognized. That’s a terrible and avoidable situation for both the company and the employee. Advice for employees: look for ways where your achievements are recognized. What are the ways that I can contribute my expertise and my knowledge to the people around me? Could I start a company blog? Could I give a short talk at the weekly luncheon? Could I form one-on-one alliances with people and let them know what I know? Be strategic about it, but do it in ways that feel comfortable for you. Friedman: What are your three best pieces of career advice? Don’t be afraid to switch careers if you think you got on to the wrong train. There’s such a feeling of sunk costs (“I’ve already sunk 10 years into this career” or “I’ve already sunk three years of graduate school.”). Life is long. If you are making that statement in your 30s or even your 40s – well, you might be lucky and have another 40 working years ahead. Maybe it’s not too late to make a switch. Whatever field you choose, make sure you acquire one area of expertise that is deeply needed by the people around you. If you do that, you will have so much more freedom for the rest of your career. You’ll be in a better position to negotiate. People will need what you have to bring to the table. Everybody talks about the importance of networking. But if you’re not someone who enjoys being in networking mode, think of it instead as going out and finding the kindred spirits in your field. It might be just enough to find one kindred spirit at a time. Over time, if you connect with those people, you will have a network that’s deep and filled with people you want to know. I met my husband that way, and so many profound connections have come to me that way as well. Friedman: It’s like going to a cocktail party, and rather than an introvert seeing it as having to meet thirty people, instead you can imagine you’re looking for the one person who can become your true friend. Friedman: Besides your love of chocolate, what is something that we should know about you but don’t? Cain: I’m also a huge lover of tennis. I start many of my work days by first playing tennis – and that’s where I’m headed right now!